Clive Walker’s dream of creating a wilderness school at Lapalala was realised in 1985. Starting with a tiny hut in the wilderness, the school blossomed into a massive program that took people of every background into the wilderness to learn about nature. 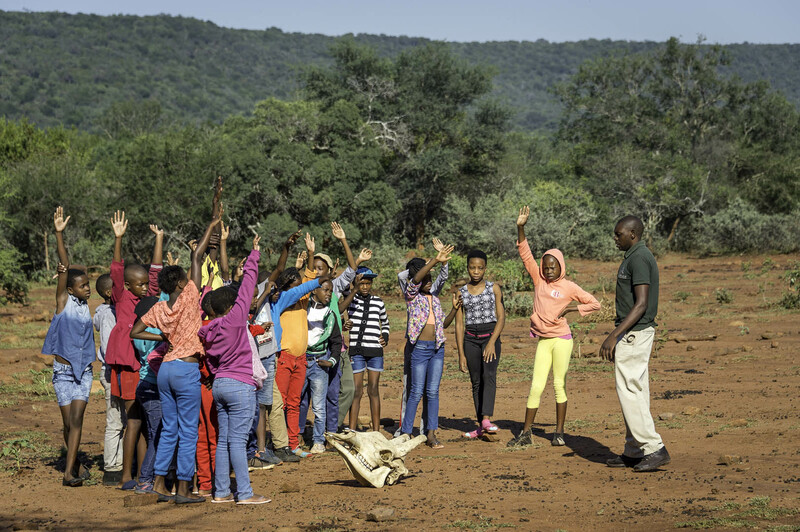 For Clive, it was important that all South Africans have access to the school, and programs were implemented to bring kids in from even the poorest townships around Johannesburg—kids who would not otherwise have the chance to visit a wilderness area. To date, over 100,000 children have passed through the reserve and learned from the various programs on offer. More recently, the school offers training to teachers and headmasters so that the lessons can be ongoing. While the focus of Lapalala was on conservation, it turned out that the area was rich in human history too. In fact, the land has perhaps one of the oldest histories of human occupation anywhere in the world. After exploring the many hills and cliffs, archeologists found evidence of hunter-gatherers dating back to Africa’s oldest peoples—the San. 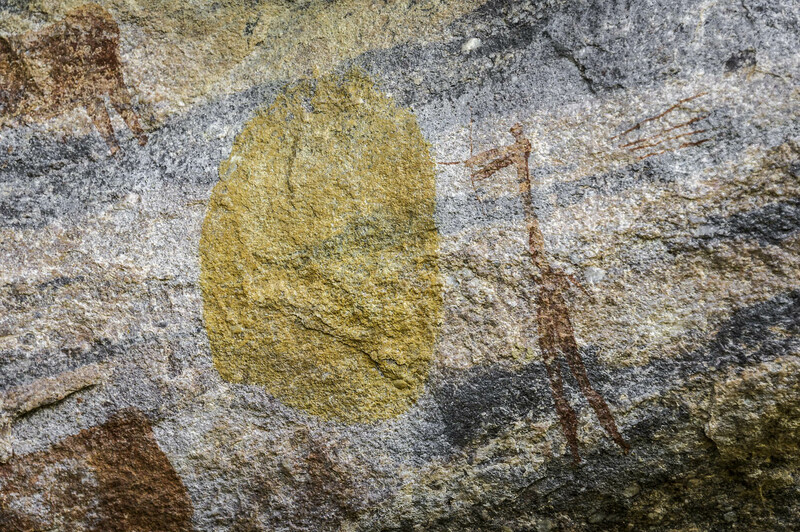 Their mysterious and beautiful artworks were found painted in the caves and overhangs of the mountains; images of animals like rhino on the cliff walls showed the wildlife that roamed the land before gun-wielding hunters arrived. In the nearby Makapan Valley—a UNESCO World Heritage Site—early hominid remains have been found showing occupation of the area some two million years ago. More recently, the Ndebele People occupied the area in the 16th and 17th centuries, and numerous artefacts have been found on Lapalala which show their mixed use of the land for farming, hunting, and economic trade with regions as far off as East Africa. When the first Afrikaans trekboers arrived here, they encountered what seemed like an impenetrable mountain range with harsh arid plateau, and so little modern impact has been made in the Waterberg. While conservation is one of the key reasons for the creation of Lapalala, it turns out that the area hosts wonders of our combined human past that need to be preserved too. When one looks at what has been achieved at Lapalala in the last 30 years, it’s easy to sit back and relax and appreciate one of the great success stories in restoration and conservation in Africa. In order to ensure the long-term conservation and survival of the land and its animals, Lapalala must grow and evolve with the times. As the new custodians of the reserve, Dale Parker’s son Duncan and Gianni Ravazzotti made the decision to open up Lapalala to other like-minded custodians interested in preserving the future of the reserve, the Lapalala Wilderness School and the various Community Projects. 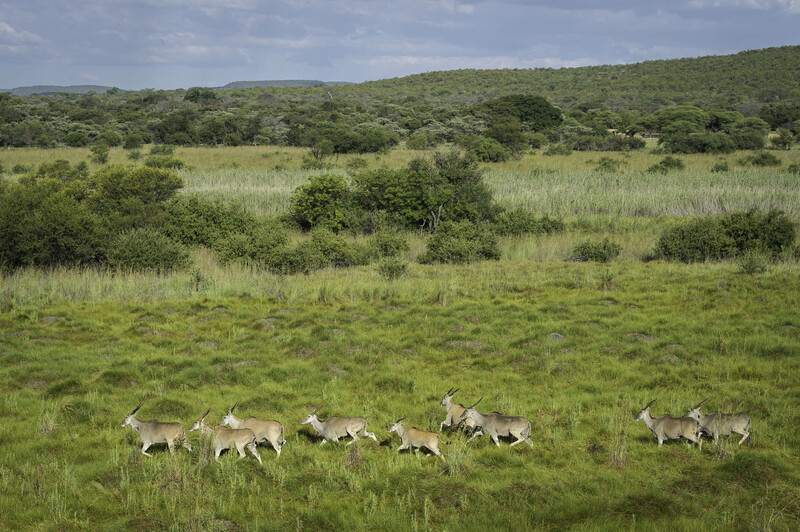 Only 300 kilometers from Johannesburg, Lapalala is now one of South Africa’s undiscovered safari wonders—and it’s time that more people had the chance to experience the area in a sustainable way and provide support for its future. 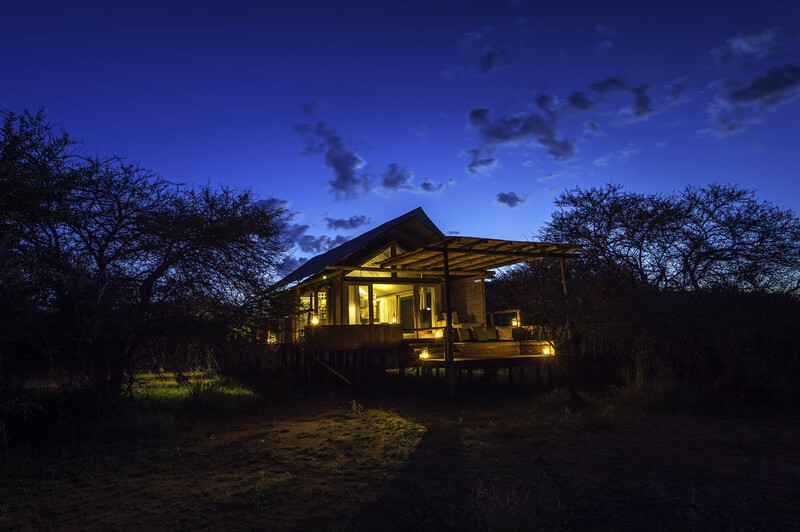 In a new and exciting partnership, Tintswalo Lodges have taken ownership of the main lodge in the reserve. Renowned for their successful approach to ecotourism, Tintswalo is improving the main camp at Lapalala, adding a unique style and design flair which has made their other lodges famous. Perched on the lush mountainside, the main deck of the lodge looks out over this beautiful wilderness; and it is with this image in mind the Tintswalo Family have made a firm commitment to doing their part in the sustainable future of Lapalala. They look forward to welcoming visitors from around the world. Plans are also in place to introduce various new species and wildlife: new elephant herds and lion will soon be prowling the land as they did once before. 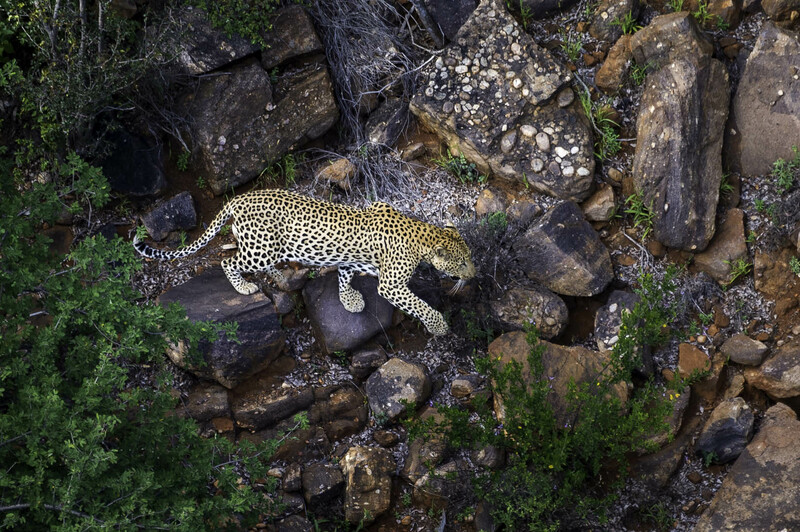 Major research projects are also underway, including a leopard census to count how many of these elusive predators lurk in the thick mountain valleys. The teams have also removed over 40km of overhead electricity lines making this the first private protected area of its size that is off the grid. As this magical wilderness enters a new phase, Dale Parker would be most proud of what has been achieved, and excited about the prospects of a land that sustained the world’s oldest people, has seen Africa’s largest animals come and go, and come once again. It’s the beginning of a new era for Lapapala – and like a morning sunrise in the bush – a bright future awaits.